This is our most popular Call Button. This Call Button Save Lives. Used and trusted by many of our Retirement Home and Hospital clientele, this button allows for fast communication between patient or resident and caregiver. A simple push of the button will send out alerts to multiple receivers such as a Display Panel, a Wristwatch receiver and an LED Receiver. 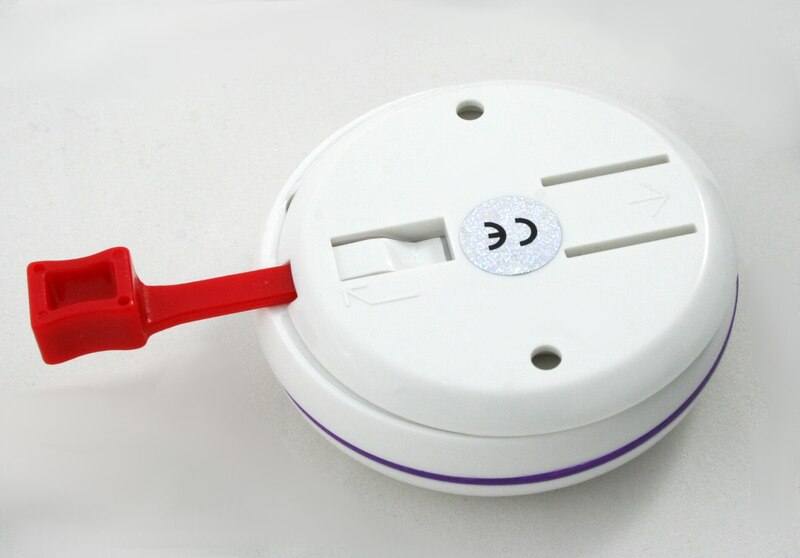 One Button can alert the matron or nurse on duty through various methods. 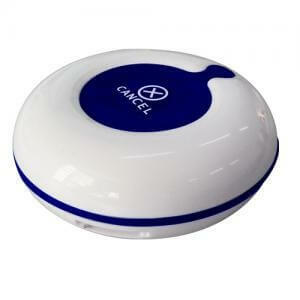 The button is durable, waterproof and long lasting ensuring your patient or resident has peace of mind for a lifetime. Can be mounted at the bedside, shower or toilet in a Retirement home or Hospital. The large Call Button can send out alerts to multiple receivers such as a Display Panel, a Wristwatch receiver and an LED Receiver and the smaller Cancel Button will cancel the call on multiple receivers. Comes with an extended Call Button at the end of the cord for easy reach and a more convenient press of the button. Can be mounted at the bedside, shower or toilet in a Retirement home or Hospital. 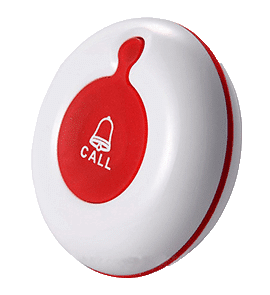 The large Call Button can send out alerts to multiple receivers such as a Display Panel, a Wristwatch receiver and an LED Receiver and the smaller Cancel Button will cancel the call on multiple receivers. Which is why we recently increased our Warranty on all Call Buttons from a 2-year to a 5-year warranty as of May 2018. 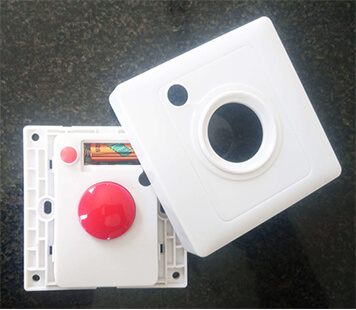 If your Button happens to give you any issues that are covered under your warranty we will even give you a replacement unit until we resolve your technical issue. 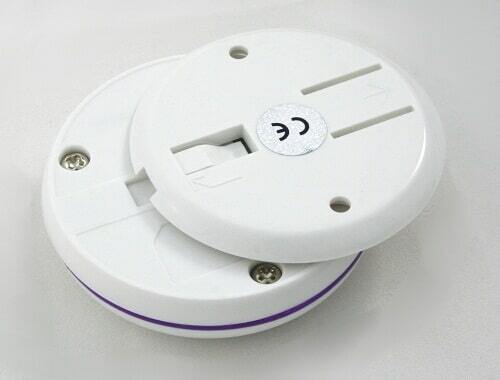 This call Button can be taken into high risk areas such as bathrooms, toilets and showers. 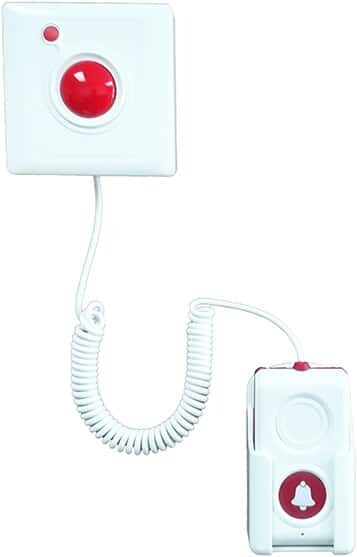 It allows the patient or resident to take their trusty Call Button into the shower or out into the garden so they don’t have to fear falling down and waiting for hours before someone finds them. 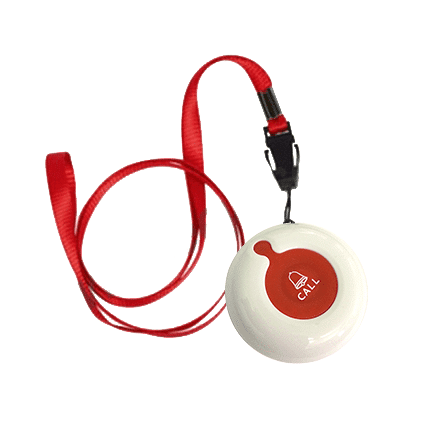 A lanyard can be connected to the back-mounting section and can be used around the neck by the patient or resident so that they have the freedom to move around and not be confined to the area that their button is located. They can press the call button wherever they are. Alternatively, it can be wall mounted as it comes with a wall mounting bracket. You can drill it into the wall with the mounting bracket or use very strong 2-way tape. 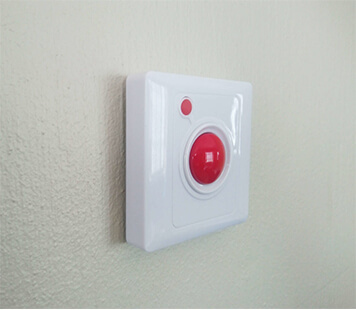 The Call Button can be mounted on any flat surface within the room and other high risk areas such as toilets, bathrooms and showers as they are completely waterproof. Your patient or resident may be weak or not have enough energy to push a firm button so our Buttons come with a large surface area that can be triggered on a soft rubber with a slight press. The rubber surface on the button is also indented to prevent an accidental press. Requires an A23 battery which lasts up to 1-2 years in a Nursing environment. The Call Button is supplied with a special key which allows you to remove the backing and unscrew the casing in order to change the battery. Each call button has a unique code which can be saved to display anything you would like. This is especially useful if you are using the B-900 Display Panel which allows you to paste the unique code for quick programming via the BellMe Software. Can the buttons be worn on a wristband? Currently our buttons do not come with the option of wearing them on your wrist, however our manufacturers are busy working on this solution. Please speak to a consultant. Can you have one button linked to multiple receivers? Yes, you can have one button linked to unlimited receivers. Yes, the amount of buttons that can be linked to one receiver is determined by which receiver you select. Please refer to the Receiver or speak to a consultant. This button is usually placed at the door to cancel calls coming from that section / ward. If you are sharing a cancel button with multiple call buttons then your display screen will have to display the same calling information for the multiple call buttons. If you would like to have the response time of the Nurses captured via the BellMe Software. 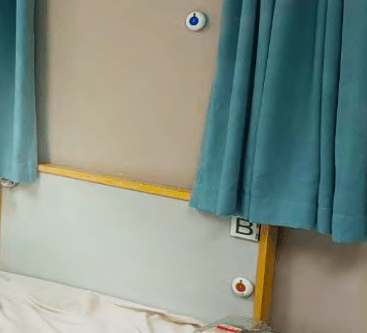 The nurse would have to actively cancel the call button either on the screen or a cancel button at the bedside or call point for the call to be removed from the display. The Cancel button is mountable exactly like the Call Button. It comes with the mounting bracket and can be mounted with strong 2-way tape or drilled. You can choose how you set up the cancel button to cancel calls for an entire section/ward or have one cancel button for each call button. 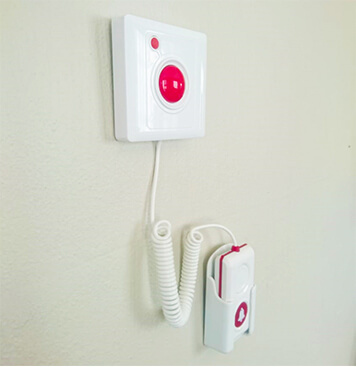 The button can be wall mounted near the Bedside Call Buttons or in the Toilets or Shower. Save costs with this integrated button. The call and cancel are both treated as one button so if your display has a capacity of 512 then you can have 512 residents with this button by their bedsides. The integrated cancel button will also monitor the response time of the nurse. The smaller cancel button will light up when the large call button is pressed as confirmation that the call has gone through. This gives the patient or resident peace of mind that they will be attended to and prevents them from pressing the button multiple times in order to ‘make sure’ that their call went through. 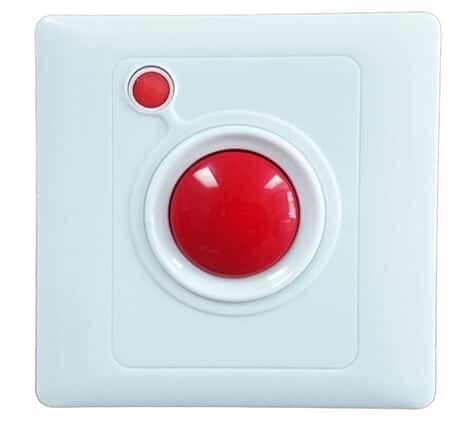 This call Button can mounted in high risk areas such as bathrooms, toilets and showers. 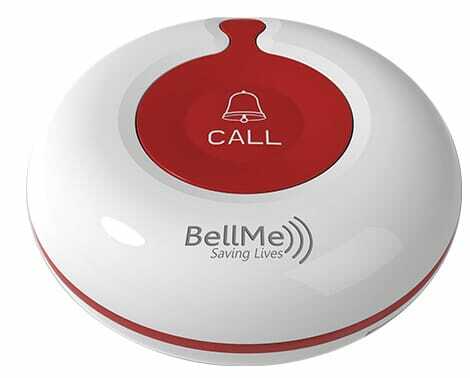 Your patient or resident will be able to call out for help immediately with a simple push of a button. Takes A23 Battery which can last 1-2 years depending on use. When this LED starts to flicker at a slower pace, this means the battery is draining and may need replacement within 2-4 months from the beginning of a slight flicker. The flicker will get more prominent. 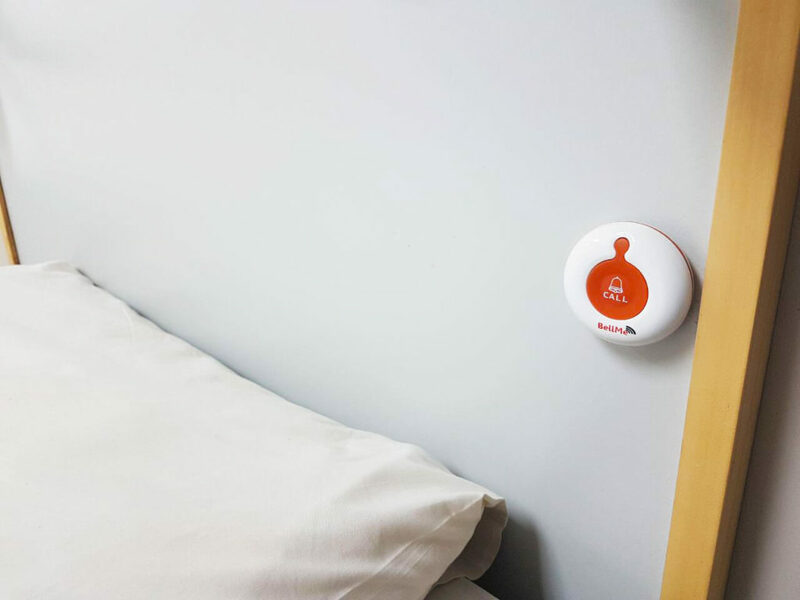 The integrated cancel button allows the nurse to cancel the call at the call point, whether it is in the patient or resident’s room, toilet or shower. Can this button be worn on a lanyard? No, if you require a button on a lanyard, please refer to our Single Key Call Buttons. 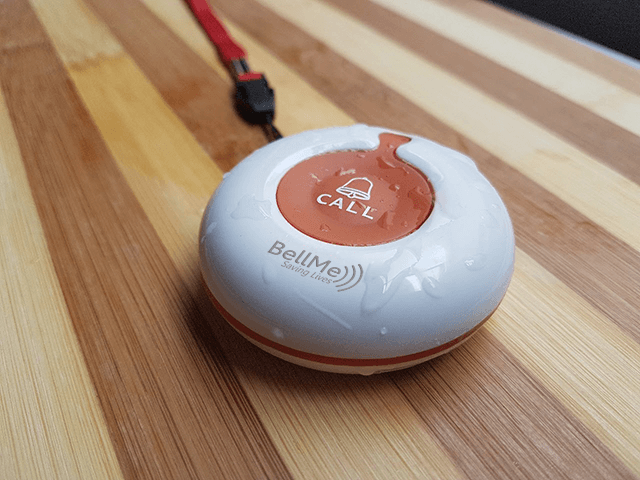 Yes, BellMe Buttons are 100% waterproof. How often do I need to change the battery? This button makes use of an A23 battery and can last 1-2 years depending of usage. The call button at the end of the cord can be placed by the bedside for a more convenient press of the button. This unique Call Button has a built-in call and cancel button with an extended Call Button on a cord. This Call button has an integrated cancel button to monitor the Nurse’s Response Time. The Cord Length is 60 cm (coiled up) – 1.5 meters extended. It also has a wall bracket holder for the extended call button. This call button comes with a built-in bracket for mounting purposes. This button makes use of an A23 battery and can last 1-2 years depending on usage.